This interview, in Arabic, has been published in March 21st, 2018, and the journalist who interviewed our person in our VA-based IQC is named Mustapha Ebeid. "We must liberate Al-Azhar first before liberating the religious discourse in Egypt." "The terrorist MB organization has reproduced and presented extremist, fanatical notions of Wahabism in a modern way." "There is no such a thing called (clergymen) in real Islam." The topic of reforming religious discourse in Egypt stirs controversy until now and many people have written a lot about its vital importance and how to approach such sensitive issue; people avoid writing the term "religious reform" and use instead the term coined by State-owned press: "reforming religious discourse". Many people discuss such a topic now while the cultural and social milieus in Egypt are ready to face extremists ideas and fanatical, intolerant notions that have infested the Arab world; religious institutions adamantly refuse to put to question heritage books of traditions and high-rank and low-rank clergymen claim that such books contain no notions of terrorism or violence at all; other thinkers and researchers prove that the opposite is true, such as the Egyptian-American thinker Dr. A. S. Mansour who is the president of the VA-based international Quranic Center (IQC) and the pioneer of the Quranist trend of reform. In fact, his vision of Islam differs from other reformists in Egypt, as he proposes the core-idea that the Quran is the only source of Islam and its only book; he insists that hadiths and fiqh books have nothing to do with Islam and that Islam contains no clergymen of any type at all. He asserts that we are to discard all books and words of Middle-Ages fiqh scholars and to stop sanctifying old texts of books written in such era of obscurantism. "Islam is the religion of human dignity and human rights; the Quran asserts the right of people to live in peace and security while enjoying justice, equality, freedom of thought, freedom of expression or free speech, and absolute religious freedom," he said. 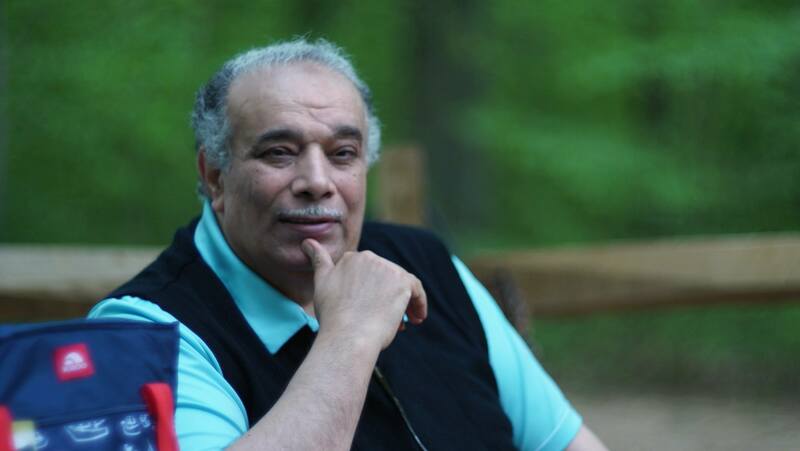 Al-Azhar University fired Mansour in 1985 because of his criticism of Al-Azhar institution and of hadiths and heritage notions of traditions or Sunna and fiqh; he immigrated to the USA in 2001. The intellectual project of Mansour focuses mainly on liberating and freeing Muslims from the control of clergymen who are deemed as holy or sanctified beings by the gullible masses; the Quran-only Islam, or Quranism, the term used by him, is against the existence of clergymen of any type. He asserts that "in real Islam, there is no such a thing called (clergymen) and there are no religious institutions at all; there are no mediators of any type between people and God or between them and His Word: the Quran. In fact, there are many Quranic verses that curse those who conceal the Quranic Truth, seeking worldly gains and money by spreading lies and falsehoods." It is a known fact that many secular thinkers of enlightenment in the Arab world vent their anger against Al-Azhar institution that represent Sunnites worldwide, as its clergymen are reluctant to introduce even the slightest type of reform; they have failed so far to remove extremist, fanatical content from the books taught in Al-Azhar University; they fight, prosecute, and cause the incarceration of those who dare to criticize these books of traditions and heritage notions. Mansour comments that with its current state, Al-Azhar will never play a role in religious reform or even the reform of religious discourse, as it is "a corrupt institution which is responsible for corrupting the mind of the Egyptians and all Arabs." "Al-Azhar must be transformed into a civil body controlled by the Egyptian State; this civil body should be merely a consultative one, whose real role is to defend freedom of thought and the religious freedom of the Egyptian citizens; we must not forget that the head-sheikh of Al-Azhar is appointed by the Egyptian President," he adds. Within his typical frankness, Mansour outspokenly accuses Al-Azhar of monopolizing the religious discourse in Egypt and of fighting dissident voices that desires a place under the sun. He says that Al-Azhar clergymen desire to be the only religious authority with no rivals and they cast doubt on the legitimacy of any free thinkers who offer new, different, untraditional readings of Islam that never comply with the dominant Wahabism propagated by Al-Azhar. Mansour asserts that asserting the absolute religious freedom in Egypt will never harm rulers at all; the Egyptian President will be praised in history books in later eras as the pioneer who has introduced legislative reforms to assert the absolute religious freedom that pave the way to real religious reform that will take years to yield its fruit; i.e., the emergence of generations who practice and are engaged into the democratic transition. Mansour affirms that Al-Azhar has failed to play a role in religious reform because "in the 1930s, within the liberal epoch in Egypt, Al-Azhar had only four branches/schools in Egypt: one in Cairo and three in other governorates; geniuses like Taha Hussein graduated from Al-Azhar at the time. As for now, there are countless Azharite branches and schools in almost every Egyptian village and city all over the Egyptian soil; all of them are controlled by Saudi Arabia and its Wahabism; this is why ignorance, extremism, fanaticism, and terrorism spread in Egypt and elsewhere." Mansour adds that obscurantism, blind imitation of the ancestors, and intellectual stagnation are the main reasons behind the backwardness of the Arab countries that hardly witness any changes in the political scene; the angels of death are the only ones who change rulers/monarchs/presidents in the Middle-East and remove them from their thrones. "The longer rulers stay enthroned with absolute authority in their hands, the more intellectual stagnation and inertia we see as the dominant features of the Arab societies. This means that Arab tyrannical rulers are responsible for maintaining the status quo that makes intellectual, political, and religious reform quite impossible," he adds. Reformist thinkers propound the idea that all freedoms are protected in Islam (the Quran): freedom of faith/belief, of thought, of rituals, and of proselytization/call and that this comprehensive notion of freedom must be the basis of any project of religious reform or the reform of religious discourse in Egypt and in the Arab world. Mansour asserts the same: "The very first reformist principle is the absolute religious freedom for all people; each individual has the right to (dis)believe and to make this decision by themselves; people have the right to choose their own faith, build their own houses of worship, and to call others to their faith (or even to atheism), on equal footing with all denominations within a given society without any interference of the State or any government at all. People are free to choose." Mansour was born in March, 1949, in Al-Sharqiyah Governorate, in the Nile Delta or Lower Egypt, north of Cairo. Most of his family members are graduates of Al-Azhar; he graduated from the history Department, the Arabic-Language Faculty, Al-Azhar University in 1973, and he worked as an Assistant Professor in this Department and then obtained his PhD degree in 1977, with this thesis: the influence of Sufism within the Mameluke Era in Egypt. In this PhD thesis, Mansour refutes Sufism and asserts that it has nothing to do with Islam; this caused trouble as the head of Al-Azhar at the time was a Sufi, Dr. Abdel-Haleem Mahmoud, and Sufism was dominant at Al-Azhar at the time. Mansour was famous for his controversial ideas as an Assistant Professor who called for a total revision of heritage books of traditions and to refute hadiths fabricated by some Jews who feigned to convert to Islam during the Umayyad and Abbasid Era. Mansour had to immigrate to the USA, after he was fired from Al-Azhar University, suffered severe persecution, his being incarcerated twice, and his receiving death threats as he was accused of denying Sunna and hadiths and of being an 'infidel'/'apostate' who has showed 'contempt' of Islam. Despite the smear campaign against him and his being declared as an 'apostate' in Egypt after he settled in the USA, he talks cheerfully during this interview and he showed true modesty; he repeats that "the Arab world faces now wars and hate campaigns; people are massacred because of their identity or religious affiliation; this is the backwardness and intolerance derived from the centuries-old thought that is still dominant today." Mansour summarizes the crisis in one thing: Azharite curricula and fatwas that urge hatred, intolerance, and bloodshed. It is hardly surprising that Mansour demanded early, in the 1980s, the immediate reform of the Azharite curricula that contain old books that date back to the Ottoman Era, the one called by him as the era of "intellectual stagnation, bankruptcy, and degeneration." Mansour says that he debunked Sufism in his PhD thesis; this incurred his being persecuted inside Al-Azhar University for three years, until he agreed reluctantly to omit 2/3 of the thesis to get his PhD degree with highest honor in 1977. Soon enough, he began attacking, sifting, and refuting hadiths, and he has rejected all of them eventually after much research and studying; when he declared his views in the books he wrote to teach to his students, he suffered persecution by Al-Azhar for two years (1985-1987), and he was incarcerated for two months in 1987, and the smear campaign against him called him and his followers as Quranists; he has decided to adopt the name as he developed his reform trend now known as Quranism. "It is a great pity that Egypt opens its gates to Wahabis and Salafists and I have to live elsewhere and cannot visit Egypt," he adds. As a prolific writer, writings and books of Mansour continued to appear in his Quranism website, tackling various topics that refute and undermine Sunnite Wahabism/Salafism. His books have influenced other generations of youths; e.g., the Egyptian researcher Mr. Eslam Al-Beheiry who faced Al-Azhar institution boldly in his TV show and YouTube videos and urged reform, but he was incarcerated for one year when accused of showing 'contempt' of Islam. Mansour has praised Al-Beheiry as a bold researcher with good ideas of reform who had the courage to face the authoritarianism of A-Azhar. In 1778, when the French thinker and philosopher Voltaire was in his death bed, a priest came to him to give him 'benediction' and 'pardon', but the weak body of Voltaire rose up and refused the words of the priest, demanding from priest to tell him who sent him; when the priest said that the Lord God sent him, Voltaire demanded to see this written authorization to prove this and he asserted he does not need any clergymen at all; eventually, when he was dying, Voltaire looked at the sky and said that he dies as a believer in God who loved his friend and did not hate his foes. In the same vein and using similar phrases, Mansour says that "Clergymen in the Arab world assume to own religion; real Islam has neither clergymen nor religion-based political parties. No one has the right to monopolize religion or to use it for the sake of worldly, transient possessions or glory. Political competition must be based on equality; no one has the right to claim to speak in the name of God and thus declare his foes as enemies of God who will enter into Hell if they competed against religion-based political parties." In fact, Arab secular thinkers agree on the fact that mixing religion with politics is harmful to both domains and leads eventually to the climate of terrorism and extremism. Mansour says that the terrorist MB organization "has spent 80 years planning to reach power in Egypt and never spent 80 minutes to think about the best way to rule. The MB members are a veritable danger lurking in Egypt, morocco, Tunisia, Syria, Yemen, etc. and they are hypocrites who change their masks too often than not to deceive others in the name of the so-called 'moderation' to hide the fact that they are Wahabi terrorists." Mansour mentions that at one time, he hosted a leading MB member in a forum in the Cairo-based Ibn Khaldoun Center, and when this MB leader (who feigned being 'moderate') was asked by the audience about his view about the death penalty for apostasy as per the Wahabis sharia law that the MB organization demands its application, he dodged the question and felt embarrassed. Mansour says that the Wahabi terrorist MB organization is responsible for corrupting the liberal epoch in royal Egypt and the political life in post-1052-coup republican Egypt, as they made bad use of the atmosphere of freedom at the time in the 1930s and the 1940s to establish 50.000 branch all over Egypt and then in other countries worldwide. "The terrorist MB organization has reproduced and presented extremist, fanatical notions of Wahabism in a modern way," he asserts. Mansour says that the MB members have used empty slogans of religious nature to attract the masses and to appeal to ordinary Muslims; the MB members are hypocrites who adopt various levels of discourse to the West, to Muslims, to non-Muslims, etc. within the notion of Taqiyya (i.e., to hide one's religion) so that they would reach power and control people and dominate over them in any given country under the banner/label of 'Islam'. They apply the Machiavellian motto of the end justifies the means. Mansour asserts that the Wahabi terrorist MB organization is the source of all terrorist groups worldwide now that hijack the name of Islam; the role of such terrorists has appeared now in Sinai, in Egypt, and in Syria, Iraq, and Libya. "If ISIS would come to an end, more violent Wahabi terrorist groups will emerge since Saudi Wahabism is still thriving," he asserts. The Arab tyrants who remained enthroned for long decades before the Arab Spring in 2011 are the main cause of the spread of extremism among the youths in the Arab world, as per most experts of politics, as the youths lost all hope for change; such frustration drives some youths to join Wahabi terrorists. Mansour asserts this idea, "the abundance of money and weapons/arms within Wahabis attract many frustrated youths among the low-class and the middle-class in the Arab world; they are easily manipulated to destroy the Middle-East and to make arms-trade and trafficking of weapons prosper," he adds. This is the phrase that summarizes the history of ISIS, Al-Qaeda, and similar Wahabi terrorist groups; when ISIS come to an end, Mansour says, more violent, revenge-seeking terrorists will emerge since Saudi Wahabism still exists and since hotbeds of Wahabism (e.g., Al-Azhar) continue to thrive after the fall of ideologies like nationalism and Marxism, and the resulting trade in religious mottos as fodder to the masses makes the Arab citizens and the West citizens pay a heavy price because of Wahabi terrorism; the image of Islam is tarnished; God has sent the Quran with Muhammad as a mercy to the humankind, but terrorists who hijack the name of Islam make it accused of terrorizing the humankind. Mansour asserts that the solution lies in the spread of the culture of democracy and raising the Arab people's political awareness to participate fully in the political life after they are educated about human rights and Quranism. Legislative reform is needed to annul and abrogate laws that cripple free speech, freedom of thought and expression, and absolute religion freedom, which are values advocated in the Quran along with other human rights. Another matter of vital importance is to reform State-owned public education in Egypt as well as Azharite education, and the cornerstone of any reform is free, neutral media. "Words, however dangerous, are better than bullets; free speech will allow all different views to be discussed and each citizen will choose for himself/herself; discussions and debates with all parties within equality will force extremists to discard their arms/weapons and stop their violence to defend their notions in the media; entering into such dialogues will make the truth appear to the Arab world; i.e., Quranism is the only true Islam and it is compatible with democracy and human rights. Within decades after launching such reform on all levels, new generations will emerge to apply the democratic transition, as the one occurred in the West countries where citizens choose presidents, or public servants, to give them authority to serve their nations,'' he concludes.